Staying fit and active during this age of computers and machines is extremely important. Especially since the generation is all about the easy way out. With washing machines taking over hand washing, dishwashers replacing human hands and vacuum cleaners aiding manual work, one would wonder if we became lazier by the day. Will this laziness not lead to weight and health issues? Our body will end up having flab all over giving us a feeling of sagging bulging loose flesh… Are you repulsed by this flab over flow on your body? Of course, yes!!! And witness to this is the increased number of fitness centres that help us keep fit and trim. But there is one part of our anatomy that is so stubborn that even the best of the fitness centers cannot help reduce it drastically! And those are our arms. It is very difficult to get rid of accumulated fat on our arms, owing to the lack of flexible space for our arms to workout. But we all know nothing is ever impossible. So here come four of the best exercises to get rid of that unsightly flab. 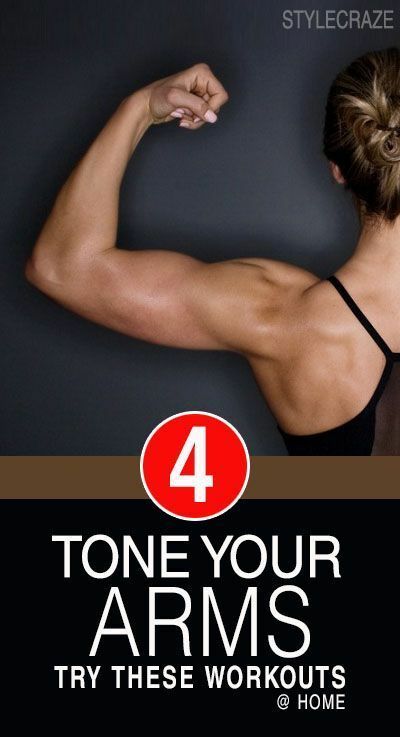 This will also make way for perfect toned arms!!!. And what better way than to do it at home without any need of sophisticated gym equipment. These four exercises are all you need to tone up those great arms of yours, and get in shape for a perfect sleeveless dress. The best part is all you need for these flabby arm exercises are your hands and nothing else. You can do these tiny workouts anytime and anywhere. Have a little spare time? Get to work on those arms.